When it comes to design, reducing something to its most basic parts is not just a design or aesthetic discipline, but it’s also the discipline of looking at what’s needed rather than trying to imbue the design with what you want. The best designers know this, maybe intuitively, because at the core of the work they’re doing is the hope that a design, this thing birthed from one’s intellect, takes on a physical life of its own, is used and maybe, if you’re super lucky, brings joy to the user. 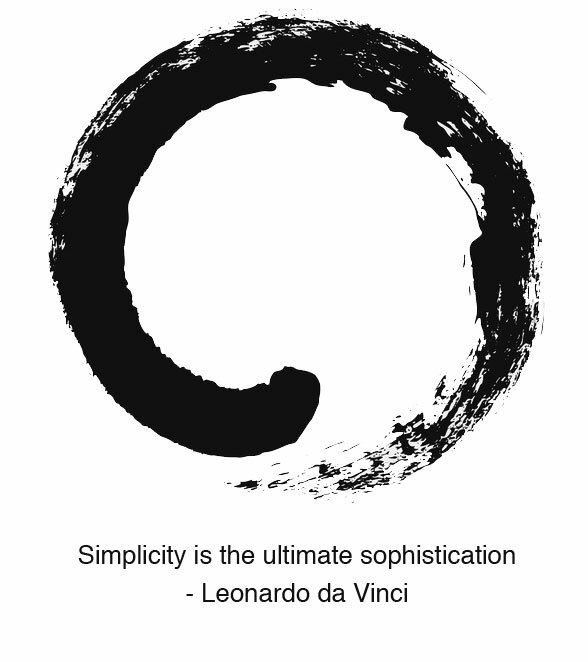 So, simplicity, like complexity is all about which direction you take the iterations in. Do you want something with lots features, buttons, screens, etc.? Or, do you want something with a few critical functions that are intuitive, straight-forward and easy to use? This is the fundamental dilemma of design: Provide many features, which, historically, has implied a greater value, or to minimize, giving only the most important features and perfecting them to ensure the best possible experience. With each design iteration there’s change, growth and refinement; Simplicity leaves room for things to evolve, organically — I think that perfection is a phantom, but iterations will be what gets you closest to a more perfect design.